Sending some Christmas cheer from our home to yours! 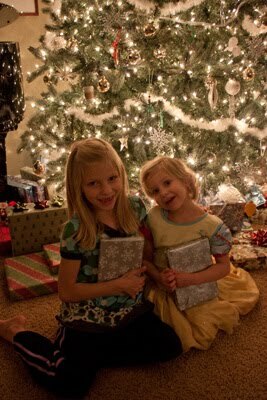 Even though we originally planned to be in Montana with our families, we still had a special time together at home. After being away from the girls for a week and a half, it was a sweet reunion. 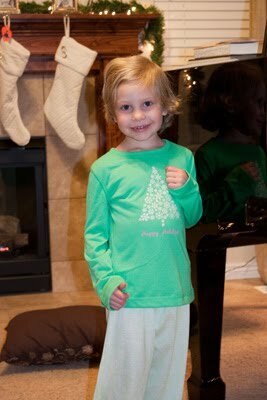 On Christmas Eve we let the girls open a couple of presents to get them started: pajamas, a game, and a Christmas movie. 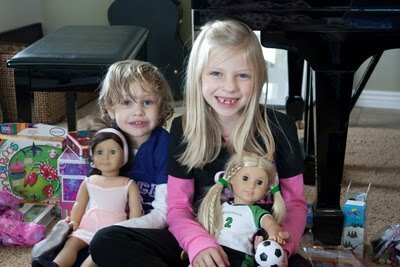 This picture was taken the next morning with their new prized American Girl dolls. You might have noticed Sarah's new short "do". Well, she took the scissors to her own hair, not once, but twice, so we had to do a little evening up. 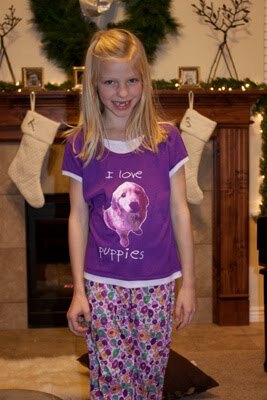 I actually had to choke back tears while doing it because her hair has grown so slow. :( Oh well, suits her sassy personality I guess. Tom got me a Kindle for Christmas so I've been passing my time in bed with a good book,"Three Cups of Tea". I recommend it. Now I'm moving on to the next book, "Stones into Schools". Both are about a guy (who happens to live in Bozeman, MT) who has dedicated his life to building coed, non-religious, non-extremist schools in small villages in Pakistan and Afghanistan. It is pretty remarkable to think about spending your life in such a selfless way. Happy Holidays to all! Good night.